A senseless act of vandalism has the Regional District of East Kootenay looking for answers. 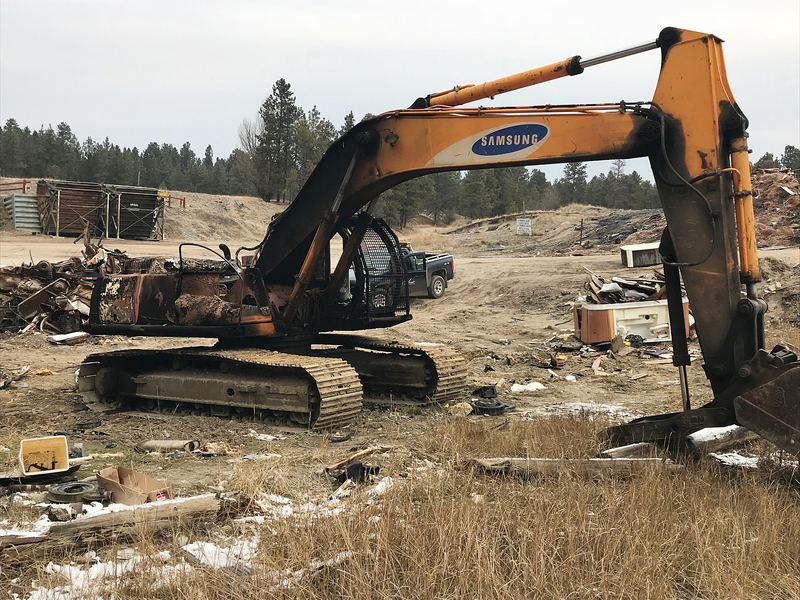 The machine is a total loss and the RDEK is hoping someone who may have been using the site – or knows the vandal involved – may be able to help identify those responsible. “We are appealing to anyone with any information to please get in touch with us at the RDEK office,” adds Penson. The Wasa Transfer Station is one of three sites in the RDEK with a marshalling area. This separate section allows people to drop off things like wood waste and metals and is intended for the use of residents in the area of the transfer station. Contractors regularly come in to clean up the marshalling areas and remove the metals, and are frequently called in to clean up illegal dumping. Anyone with any information can contact Penson at the RDEK office at 250-489-2791.